ITANAGAR, Mar 9: The family of late Risso Tari claimed that his body was dumped in front of the state Civil Secretariat here as opposed to the assumption that he was killed in the security personnel’s indiscriminate firing on the night of 22 February. The family made the claim while addressing hundreds of people who participated in a candlelit rally from Akashdeep to the tennis court here in IG Park in solidarity with the families of three youths, who died during the recent anti-PRC agitation. Claiming to have the police incident report in possession, late Tari’s brother, Risso Kiagung said that the concerned authorities are concocting narratives, which never took place. He informed that as per the report, on 22 February at around 11.30 pm, some unidentified people brought Tari’s body in an ambulance and dropped it at the state Civil Secretariat. Kiagung added that the report also claimed that the security personnel resorted to water cannoning also against the violent protestors when the lathi-charge failed to disperse the crowd. 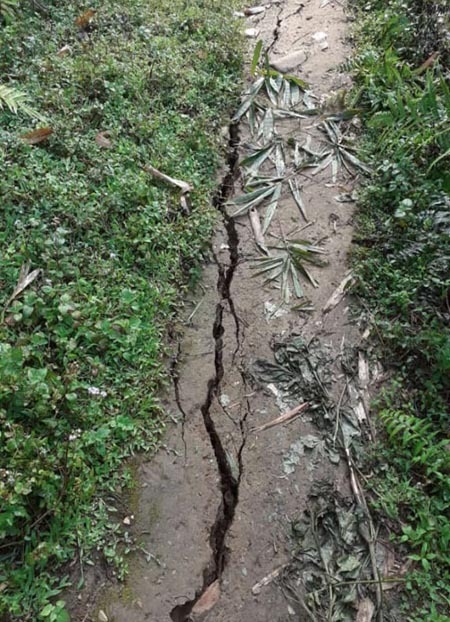 Informing that the deadline of the ultimatum served to the state government by the family of Tari, Biki Ruja, and Tsering Wangdi, ends on Saturday midnight, he lamented that no one from the government has cared to pay a visit. He also said that they would make their next course of action public on Monday through a press conference. Kiagung said that their fight for justice is against the state government and the concerned officials and so they will fight against them directly. He also sought the support of the common masses in their fight for justice to the three youths who laid their lives for the cause of indigenous people of the state. In the meantime, Tari’s brother also appealed to the opposition political parties to not malign the image of the three youths by giving political colour to the incident. 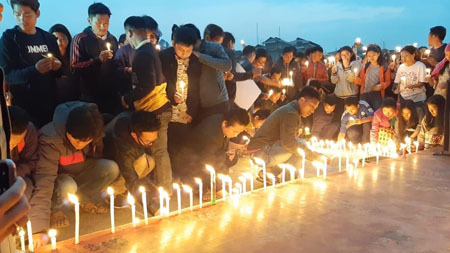 Meanwhile, family members of the other two slain youths also expressed their gratitude to the gathering for supporting their cause and said that the PRC issue has been dropped because of the sacrifices made by Tari, Ruja and Wangdi. They also appealed for the public’s support in future too while stating that they will not rest till justice is delivered. Earlier, the gathering also observed a minute’s silence in respect to the departed soul.